Search the web and you'll find a variety of recipes from "health food" bloggers and "nutritionists." Yet many of these recipes often follow trends or fad diets. Now, McKel Hill, a Registered Dietitian Nutritionist and wellness coach, takes you back to bare basics to enjoy the amazing benefits and incomparable flavor of whole foods—nature's true healthy bounty. 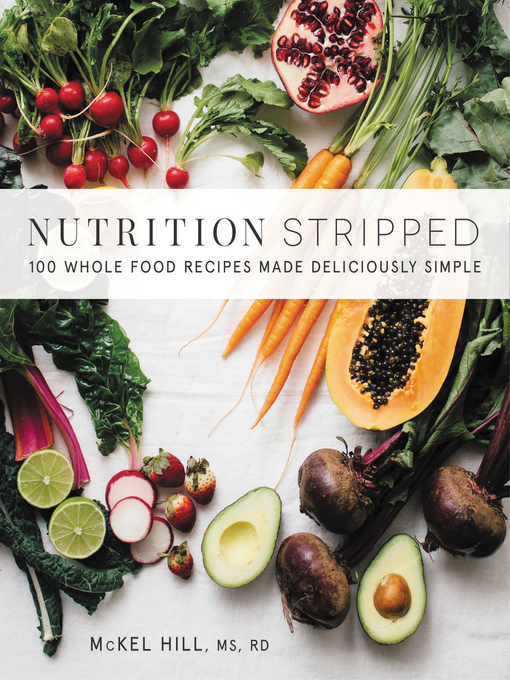 Drawing inspiration from nature, the turning of the seasons, the world of plants, nutrient dense foods and hidden gems in the world of superfoods, Hill celebrates simplicity, and shares her vast professional knowledge and expertise in this practical and easy-to-use cookbook. But Nutrition Stripped isn't just an approach to eating—it's a lifestyle that will help you look, feel, and be your best. Whole foods cooking is the foundation of health and can be enjoyed no matter what your dietary preference, whether it's vegan, paleo, or gluten-free. Hill's whole food, plant-based recipes are gluten-free, dairy-free, and entirely free from processed food, yet all can be adapted to specific tastes and needs, making them realistic, approachable, global, and livable. Start your day with delights such as Turmeric Milk (the new green smoothie), Carrot Cake Quinoa Porridge, or Plantain Flatbread with Poached Egg and Honey. For dinner, feast on Beetroot Burgers with Maple Mustard or Carrot Gnocchi with Carrot Greens Pesto. And don't forget dessert—indulge with a mouthwatering slice of Raw Peach Tart with Coconut Whipped Cream or some Salted Caramel Brownies.